I read this article and found it very interesting, thought it might be something for you. 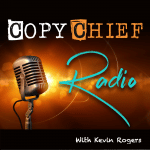 The article is called Ep 149: Jon Stoltzfus – The Most In-Demand Copywriter On The Planet Right Now and is located at https://copychief.com/ep-149-jon-stoltzfus/. 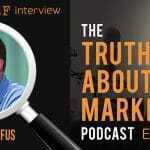 Jon Stoltzfus is currently the most in-demand copywriter in the industry. He’s an engineer who loves his work and makes a very comfortable living. He’s also a damn good copywriter. He’s been creating super strong controls in his part-time. He’s about to make the leap into full time copywriting, because when a talent like Jon becomes a “free agent”, the publishers will do anything in their power to get them on their team. With respect to privacy, I can’t tell you who’s involved, but I can tell you there is a heated battle among publishers to see Jon wearing their jersey right now, and we’ll know soon where he ends up. So, what makes Jon so special? Why do some copywriters struggle, while others become sought out, even fought over, and get to write their own ticket? Jon is here to talk about the steps he’s taken to get here and we’re going to deep dive into his writing process. Essential listening for anyone marketing Big Ideas (should be everybody!) and especially important to freelance copywriters looking for the playbook on a lucrative career. How to side-step the “shameless whore” phase and get right to the good stuff – even if you’re brand new. What you MUST do to capitalize on your first big copywriting win (missing this is like throwing hundreds of thousands of dollars down the toilet). Kevin’s secret formula for making A-level copy projects show up out of thin air. How to use ‘forced serendipity’ to generate true breakthrough ideas. Watching these 2 television shows will make you a better copywriter (hint: neither of them is Mad Men). 3 free tools that put idea generation on autopilot (set them up in under 30 minutes). How to get all the benefits of hand-copying without writing a word. How to instantly tell if your ideas are ‘big’ enough for breakthrough results. What Jon stole from Clayton Makepeace that he uses to set every project up for success. How copywriters legally turn $2,500 into $125,000 while on vacation (works even if you’re new). Bullets written by Russ Reynolds. Russ is a member inside of Copy Chief. You can reach him at his website here. Link to the new promo?